Hey Hank, just curious what the solution is for the flywheel - are you making your own or is 034 doing something about the ring gear? Or something else entirely? I am pretty new to 07k engines, i just bought BGQ engine that i want to use in URQ with 01E. My question is how far can You go with power using cast crank ( 101F) i am thinking about full spec hillclimb engine ( 600 HP+). Given the amount of work and money you have to sink into a swap, making sure you get a forged crank in there is pretty trivial. I would not trust a cast crank at 600+ HP. 2nd. 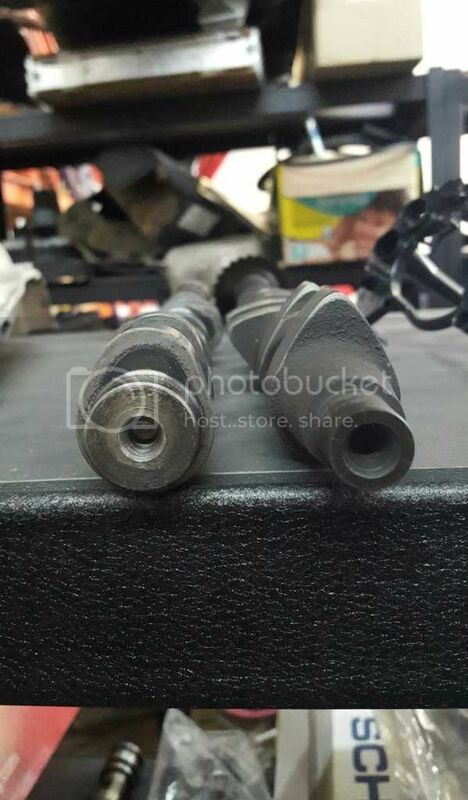 you have two good options for a forged crank. one is to source an early 07k, your likelyhood is high in 06 to get a forged one. or buy a ttrs crank, last I checked they were sub $1500 retail from audi. advantage of the ttrs crank being you get an 8 bolt flywheel flange while you are at it. I was at machine shop ( crak guy)and that told that crank is for 95% forged. They will do material drilling to make sure. Will be in touch with You. Hank wrote: I have a 240mm 14 lb flywheel made that accepts 7a clutch kits and 1.8t pilot bearings at 340$, so it is not unreasonable. On your website, it looks like the flywheel has no pilot bearing. I assume since the "snout" on the crank is so long, in this setup the pilot bearing lives in the crankshaft? Soon will post some photos form assembly. Starting with head with oversized ferrea valves, IE camshafts and Polish machining. Can you post a link to the cams? Does anyone know the length of an o7k compared to a VR6? Obd 1 aba's were forged, and that is what most people are boosting (fyi). 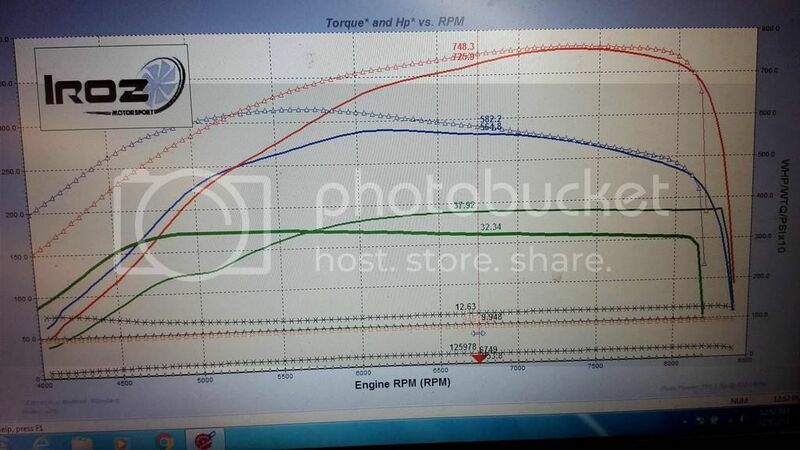 I've been searching for flow bench numbers on a stock and ported 07k. Does anyone have some? Yep was just going to post that. chaloux wrote: Yep was just going to post that. Seems like Jeff found similar numbers on the Revver head, "peak flow at 0.5" lift is 274 CFM. Exhaust peak is 203 CFM with great laminar flow in the mid lift range". What's the FRP/IMS CNC ur20v head flow? It's not the static flow of the head that makes the 07k better, it's the cam profile you can run with roller rockers. You can keep the valve open longer so it flows more in the end. Yep, I mean in the end the size of the valves will be similar. The port on the 07k is steeper so it's probably easier to get flow out of, but that doesn't mean you can't get an old head to flow as well. Check the 07k 12mm IE cam vs the CAT 305 regrind that also has simar lift but check out the duration.... so yes, static flow may be aimilar or even better in some flavors of 20vt port jobs but it doesnt matter matter what it flows if it isnt open. The flow under the curve on a roller rocker destroys a cam over bucket, simply becauze the cam can ramp crazy fast and not worry about being off the bucket. The difference is crazy to see. Yes, The translation is insane power at low boost levels. The following is TTRS on e85, .85AR 6467 in the way of Xona 8267, Shrick 11mm cams, valve springs, stock head, 9.5:1 compression. The Mule is the other line, 6766 turbo via EFR 9174 on a spool valve .92 AR. E85, CNC head, Cat 305s set at 119/111, 9.3:1 stock compression, etc. Same day pulls.